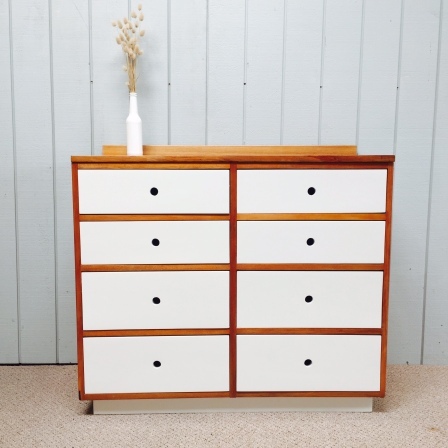 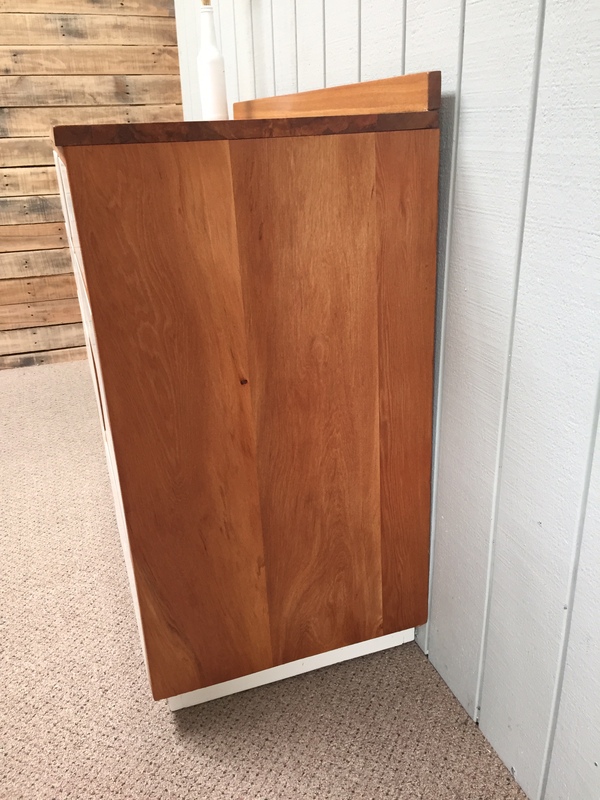 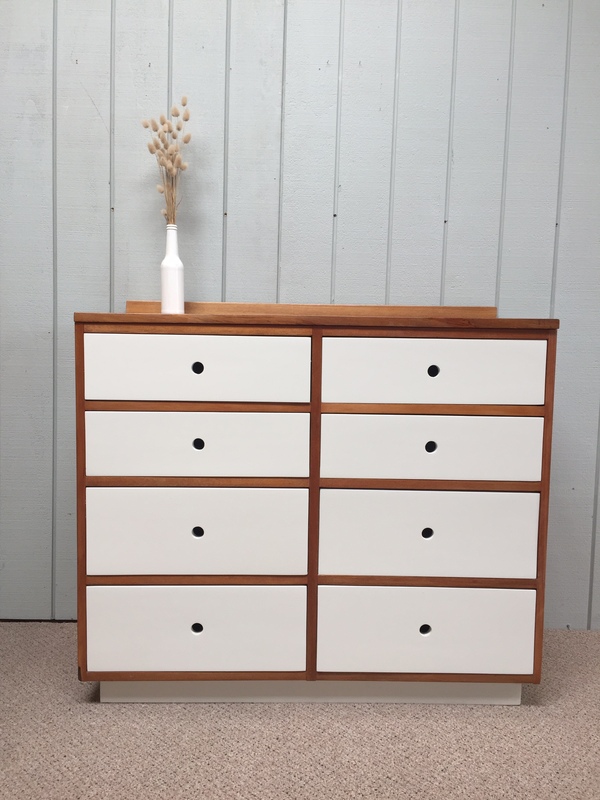 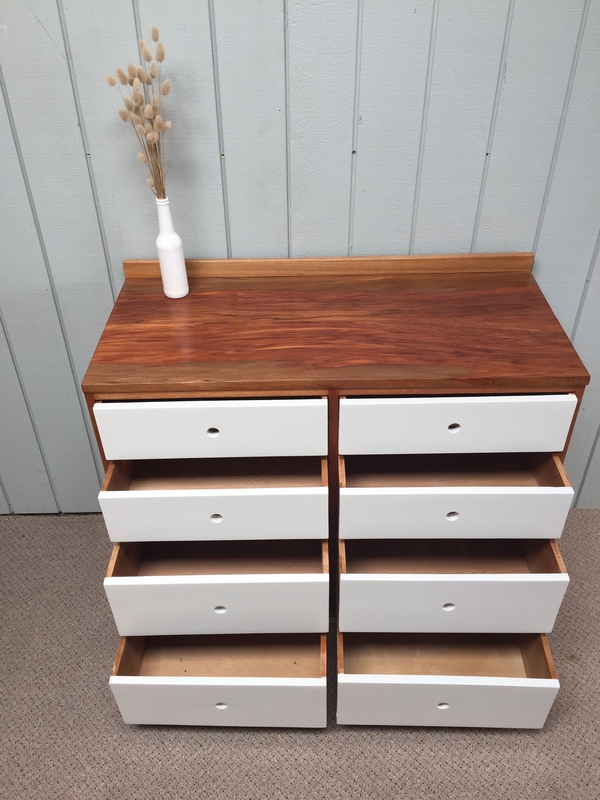 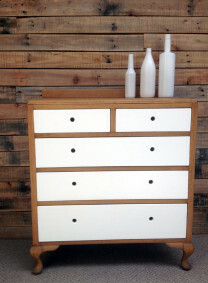 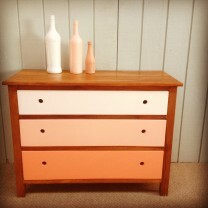 Beautiful solid rimu lowboy with 8 drawers. 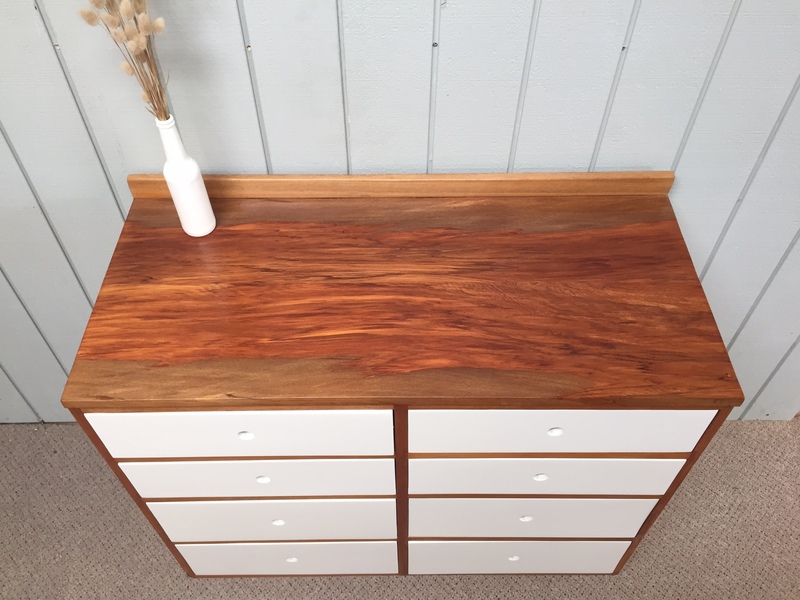 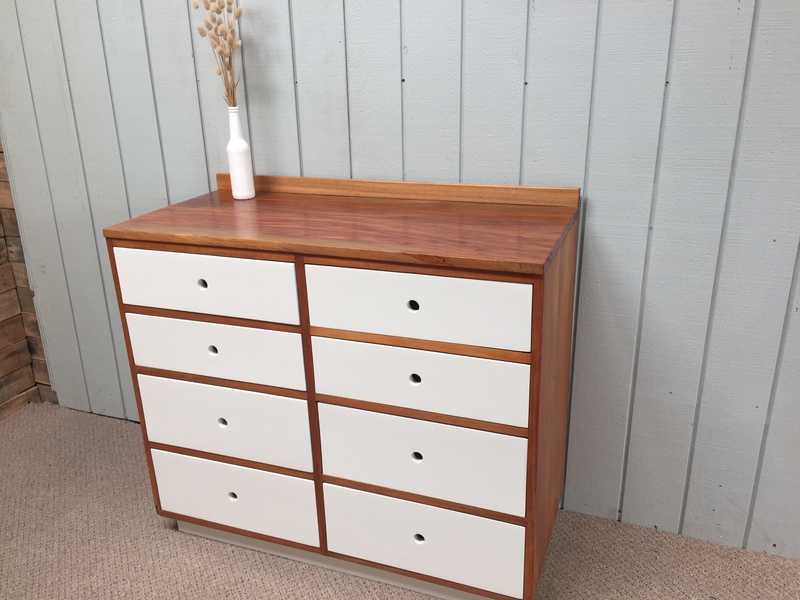 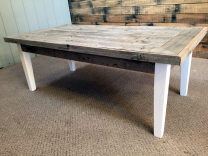 The body has been restored to a stuning natural rimu finish and coated in three layers of Danish oil while the draw fronts have been sprayed in a lustrous white finish. 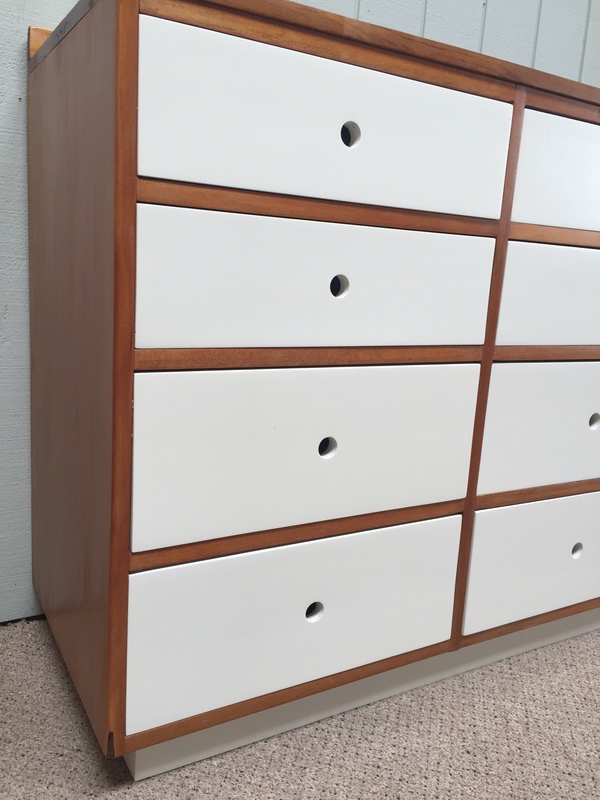 Ready for round two in its life!